Noma: I cooked from it. I cooked from the Noma cookbook, and lived to tell about it. The Washington Post: "Tales of the Testers: What About 'Noma?" Technical difficulties on every front. My dancing-along-to-Michael-Jackson video coming later this week. Noma cookbook blog post coming soon, too. Oh, and an interesting adaptation of a dish from the Alinea cookbook. I did a bit of time travel and retro-fied it. But alas, none of my technology will talk to each other, so I need some time to sort everything out and get these posts ready for primetime. Thanks for being patient with me. We're in the homstretch of the Share Our Strength fundraising campaign -- which ends as soon as the clock strikes midnight on January 16th. 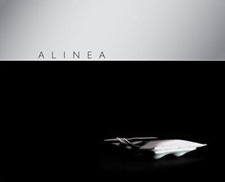 This is your last week to donate -- $5, $500, whatever you can give -- to have a chance to win dinner for four at Alinea, along with some other pretty cool prizes. We've raised more than $18,000 in donations so far. Think we can get to $20,000? I might have to do the Macarena on the steps of the Lincoln Memorial if y'all get us over $20,000. It's totally what Abe would've wanted, don't ya think? I heard from the team at Share Our Strength late last week, and guess what?!?! In just three weeks, you all have donated more than $15,000!!! So, not only have we exceeded the $10,000 goal, this means that one of you will win dinner for four at Alinea. This campaign continues until January 16, so you have until then to donate if you haven't already. A video of me dancing to The Michael Jackson Experience on my neighbor's Wii. But for now, a heartfelt THANK YOU.